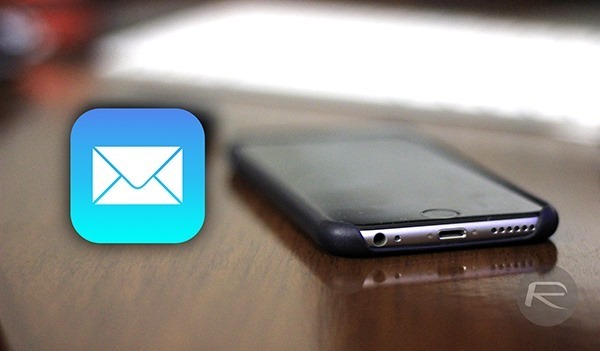 Navigating through emails can be tedious at the best of times, but if you’re an iOS user and happen to run the stock Mail client, you mightn’t have caught wind of a little feature that’ll save you quite a bit of time when sifting through endless correspondence. Sure, some of you may already be familiar with this particular function, but if you’re all about being as productive as possible, then check the full details after the leap. iOS is packed to the gills with many great features and quirks, but while many of us are more than familiar with the majority of its functionality, there are always those little shortcuts that can easily be overlooked. Email is something that we all, to varying degrees, engage in, and if you’ve always found the process of exiting and entering individual conversations to be rather tiresome, the little arrow keys that let you flit between consecutive email threads may have slipped under your radar. It’s incredibly simple to move to either the previous or next message in your particular mailbox, and incase you hadn’t already caught on, here’s how it’s done. Step 1: Open up the Mail app on iPhone. Step 2: Next, open up any message. Step 3: In the top right-hand corner, you’ll notice a pair of arrows facing opposite sides. 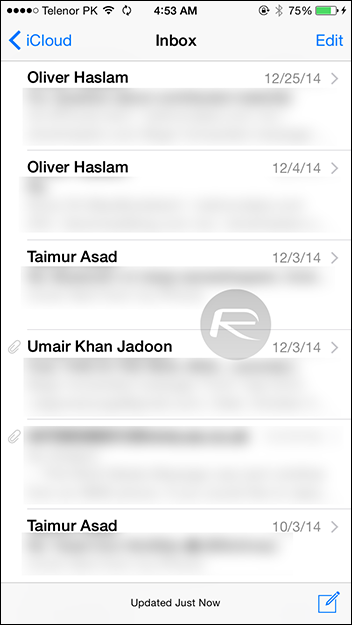 Tap on these, and you can jump to your previous email or next email. And that, as they say, is that. Sure, if you already knew about this feature, then you’ll probably wonder how others didn’t spot it before, but since Apple adds hundreds of low-key features to every installment of iOS, it’s easy enough to skim through without noticing potential time-savers. Keeping up with email seems like a never-ending battle against the wind, but by using this tip rather than jumping through the additional hoop of exiting one mail to open another, you’ll save yourself plenty of time for more pressing tasks at hand. 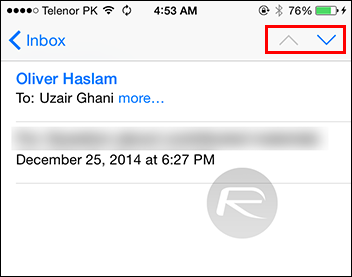 iPhone users, had you noticed this handy little feature when using Mail? Whatever the case, be sure to leave your thoughts and comments with us via the usual channels, and we’ll keep you posted with further tips for your favorite mobile platforms and devices in future, so stay tuned to our coverage here!